Hamilton, NJ, February 26, 2019 --(PR.com)-- Joseph Nawa has been promoted to vice president within RT Specialty’s National Environmental and Construction Professional Liability Practice. For the past five years, he has been integral to the company’s new business efforts within its Southern U.S. region, while developing and leading other consultants in the practice. Prior to joining New Day, Nawa was an A&E Underwriting Manager at RLI Insurance Company. 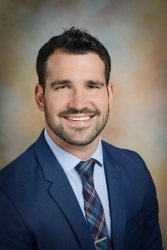 He holds a Bachelor of Business Administration in Marketing from Temple University as well as Registered Professional Liability Underwriter (RPLU), Chartered Property Casualty Underwriter (CPCU) and Construction Risk and Insurance Specialist (CRIS) designations. Nawa can be reached at joseph.nawa@rtspecialty.com or 609-528-3898. RT New Day, a division of R-T Specialty, LLC, is a specialty resource for agents and brokers, assisting them and their clients find appropriate, high-quality environmental and construction-related professional liability insurance coverages. RT New Day offers agents and brokers single-point access to an ample portfolio of products and services provided by the nation's largest environmental and professional liability insurance providers. In California: R-T Specialty Insurance Services, LLC License #0G97516. For more information please visit newday.rtspecialty.com or call 609-298-3516.